Twice a month in Consumed, our Film Independent Fellows take a break from creating to talk about their reading, watching, listening and sometimes even eating habits to find out what informs their work as filmmakers. 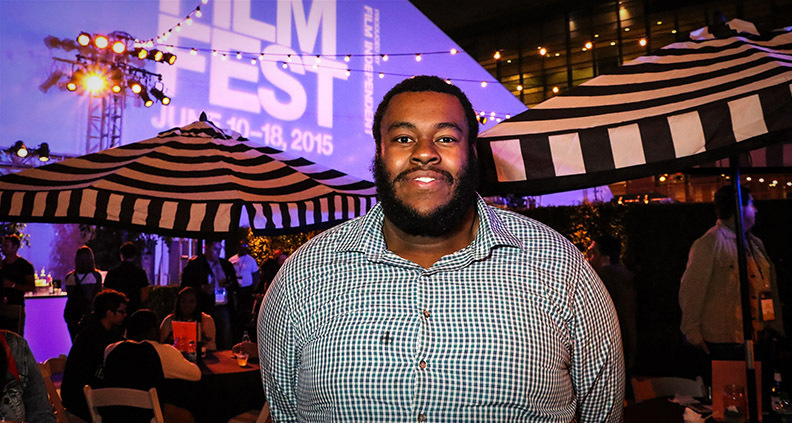 Film Independent Producing Lab and Project Involve Fellow Frederick Thornton prefaced our conversation about his media tendencies by explaining he has recently become obsessed with the particularities of music supervision. “You can learn so much about a character just by looking at the clothes they wear and the music they listen to,” he explained. Thornton (nominated for the 2014 Piaget Producers Award at the Film Independent Spirit Awards) should know: prompted to divulge his habits, he drops Kanye, M83 and Childish Gambino references generously, whether it’s for power songs, meditative pauses or what he hopes will become the soundtrack to future generation’s Sunday-morning house cleaning rituals. As a filmmaker who is constantly making things, how much time do you actually have to take in the latest TV shows, films, music or podcasts? The only things I am current with are podcasts (shout out to Pod Save America), music and HBO shows. I refuse to have what is going on with Cersei from Game of Thrones or Jared and Jian-Yang from Silicon Valley spoiled for me. Other than those shows, I am honestly seasons behind on most everything else. I love getting recommendations from close friends on what to watch next, especially if the series has already ended and I can binge the entire thing. I am not ashamed to admit that I didn’t watch The West Wing until four years ago. Damn, that’s a good show. With that in mind, what is the last TV show you watched a full season of? Detroiters. I know I said that I barely watch much current season television, but that show spoke to me on so many levels. I absolutely love it and Sam Richardson is a national treasure. What about the last movie you saw in the theater and why? Get Out and the sad millennial truth is I saw it mainly because I didn’t want all the memes going around at the time to spoil the movie for me. With so much vying for our attention these days, a film like Get Out could easily have gotten lost in the “sunken place” of modern media. I can’t wait for our generation’s future children to wake up on Sundays to [Childish] Gambino’s “Redbone” playing and knowing its time to clean the house. And the last movie you streamed? 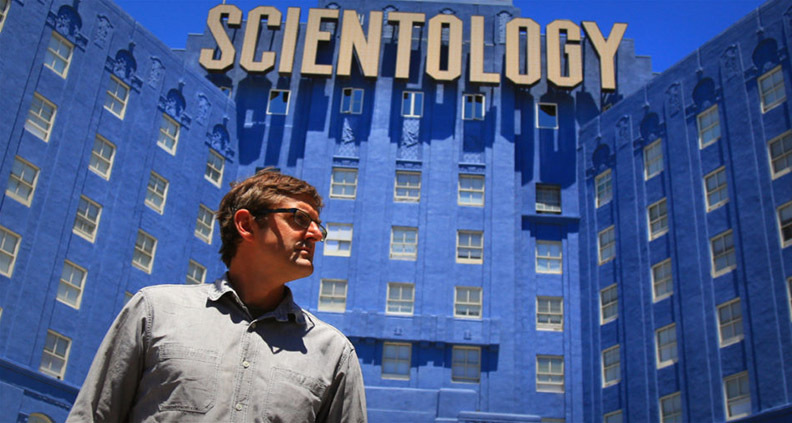 Louis Theroux’s My Scientology Movie. Theroux is possibly my favorite and most influential filmmaker. The courage he has to challenge, not only his subjects, but also himself, is inspiring. Do you have a go-to movie you re-watch? If yes, what about it comforts or entertains you? [F. Gary Gray’s] Friday. Anytime I am down in the dumps, I know my boys Craig and Smokey will have my emotional back. I am still waiting for the opportunity to tell someone to comb their hair because it looks like a bunch of spiders are having a meeting on their head. What music do you listen to to feel motivated? My Beautiful Dark Twisted Fantasy by Kanye is the hype album of my life. I saw Chvrches last year and, damn, are they good live. I am wondering whom I need to bribe or kill to get some Chance or Kendrick tickets, so if you got the hookup for that, please slide into my DMs. If you could only follow one person on social media, who would it be? Jon Favreau, the former speechwriter for President Obama, not the guy who did The Jungle Book. Favreau is insanely talented, grounded, charming and smart as a whip. As a political junkie, probably to the detriment of my friendships and myself, he is a must follow. I think he’s five years older than me, so it’s motivating to see what he’s doing. Dude was helping craft some of the greatest speeches of our time while in his 20s. Kanye is going to score the whole damn thing. He would bring in artist from all different genres and backgrounds to work on it with him too. I’d like to see him combine Future Islands, Chvrches and Gambino in there somehow. Just imagine how he would compose the scene of my little league career where I took a line drive off my left eye while pitching and stayed in the game like the little champion that I was. Shout out to my sister Bridgette, who was my coach, for keeping me in the game. How do celebrate or reward yourself after you finish a project? Well, I have a tradition of growing a playoff beard whenever I am working on a feature, so I guess my reward is cutting all that mess off. I am sorry I don’t have a better answer for this like taking a trip to Monaco. Actually, let’s just pretend and say I take trips to Monaco, let your imagination be your guide to my reward. Do you have any rituals that help you get into a better work mindset? Recently what I’ve done while I’m in a rut is close my eyes for a few minutes and play M83’s “Wait” while taking deep breaths with my headphones on. Helps get me back into a more positive and clearer mindset. What do you always have with you on set? My heavily worn out grey and black Project Involve backpack that carries pens, markers, a bandana, a clipboard, charging bricks, my water bottle, my notes, maybe my iPad, hand sanitizer and depending on the climate, some Old Spice deodorant and sunblock. Angel and Francisco, if you are reading this, may I please have a new bag? To learn more about Thornton’s work, please visit his website. To learn more about Film Independent’s Artist Development programs, please visit our website. And to support our Fellows in all that they do, consider becoming a Member of Film Independent today. Be sure to subscribe to our YouTube channel and follow us on Twitter, Instagram and Facebook for more updates and inside info.